Create your own personal guides for Cape Verde by clicking the icon in the top right corner. Please check back soon for Featured Guides by Your Cape Verde Local Expert! If you are looking to see mother nature with doing her any damage, then try an Eco Tour in Cape Verde, where you can see the beautiful landscapes without doing them any harm. Login to create your guides for Cape Verde. 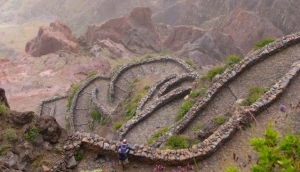 My Guide Cape Verde is part of the global My Guide Network of Online & Mobile travel guides. Our Complete Website Solution frees up the time, cost and technical expertise required to build and operate your own successful online travel business. Sign up for our mailing list to get latest updates and offers for Cape Verde.